High-flying National Basketball League Melbourne Tigers 203-centimetre swing-man Bennie Lewis has signed with the Bank of Queensland Redbacks for the remainder of the State Basketball League season. Lewis promises to bring to the league some great above the ring action to the SBL, having won the 2012 National Basketball League dunk competition. BOQ Redbacks coach Nik Lackovic says that Bennie brings a tremendous amount of athleticism at the three-spot which makes him a tough cover. “He's a guy who can put the ball on floor and get to the rim and also stretch the defence beyond the three-point line with his perimeter game. I’m confident he is going to fit into our team nicely. He's hungry right now and has moved across here to commit himself to improving his game. I am looking forward to what he can add to the team at both ends of the floor,” he said. 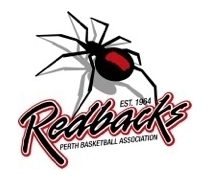 The Redbacks now offers up a starting line-up that comprises players who are currently or have previously played in the NBL. 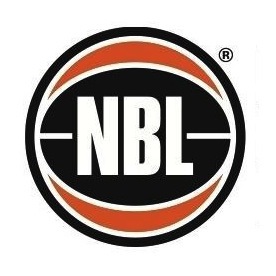 Point guard Joel Wagner played with the Perth Wildcats and Sydney Kings, shooting-guard Jarrad Prior with the Wildcats, swing-man Bennie Lewis with the Tigers, power-forward Michael Vigor currently plays with the Wildcats and centre Justin Brown plays with the Wildcats and Brisbane Bullets. The BOQ Redbacks will meet the Stirling Senators this Friday at the Belmont Oasis Leisure Centre with the women’s game starting at 6.30PM and the men’s game at 8.30PM. This is followed by a game against the Lakeside Lightning at the Lakeside Recreation Centre with the women’s game starting at 1.30PM and the men’s game at 3.30PM.